Go to the Lost&Found offices of your Airline (or the ground handler acting on behalf of your Airline). Bring your air ticket receipt and your lost baggage identification tag with you. The Lost&Found offices will provide you with a copy of official proof of loss including a case number identification code. A description of your luggage (size, colour, make…..) will be included in this official report of loss. If you wish to track the progress of your lost baggage case, you can get in touch with the Lost&Found offices with which the official report of loss was filed. These are the numbers you need to call (remember to have your case number ready). Once your baggage has been located, it will be returned to you at the address you provided if this is the policy of your Airline. 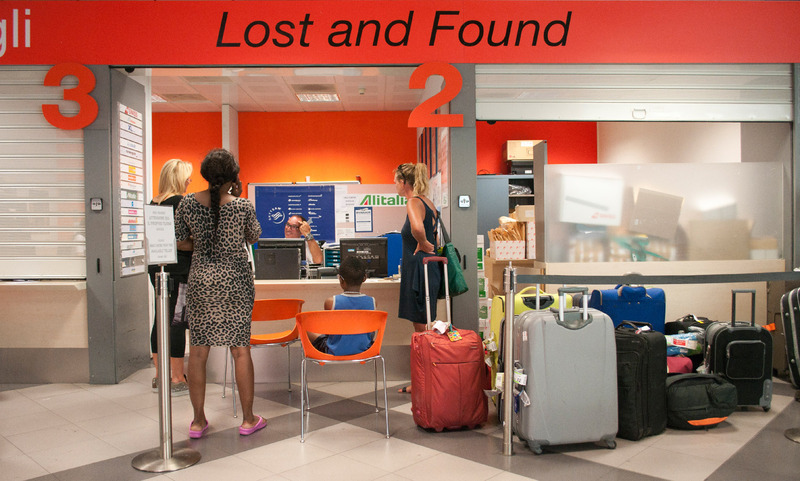 Passengers can also make arrangements with the Lost&Found offices to pick their baggage up directly from the airport. Should your baggage not turn up quickly, please get in touch with your Airline to obtain authorisation for any expenses to cover basic needs. In these circumstances, each Airline company has its own particular policy which will need to be observed. If your baggage is visibly damaged when it arrives, contact the Lost&Found offices of your Airline (or the ground handler acting on behalf of your Airline). Bring your air ticket receipt and your damaged baggage identification tags with you. The Lost&Found Offices will provide you with an official report certifying damage suffered. Some airlines have introduced systems which allow their passengers to track the progress of their luggage directly on a website. This website will be updated with the links of the airlines which chose to offer this service.